Kids can celebrate and play together with a focus on STEAM activities! You will get a private space for your big event. Your designated party host will engage your child and up to 20 friends with interactive activities of your choice. 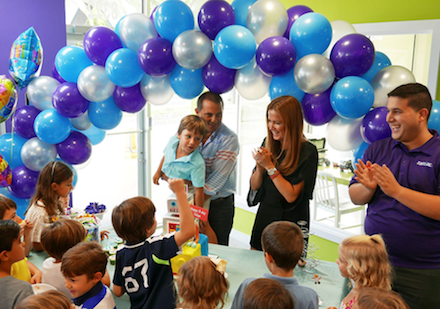 Our most popular Birthday Parties include Minecraft and Engineering! We can customize activities based on your needs. Our Birthday parties are offered Saturdays. We provide the balloons, decorations, pizza, juice and cake and candles for all the participants. Party Favors are available at an extra cost. Let us orchestrate the fun so you can just enjoy your child’s party! 2 hour party held Saturday afternoons.